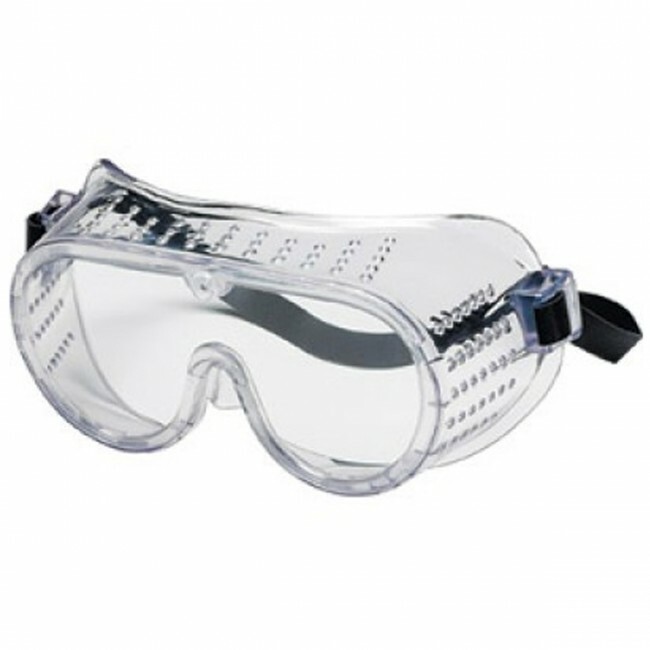 Protective Goggles fit comfortably over most prescription eyewear and protect eyes from impact and splash. The transparent, protective PVC body provides a wide, unobstructed field of view and will accommodate most half-mask respirators. Clear body. Meets or exceeds ANSI Z87+.